I might have a problem with creating characters. Pls send help. Personality: Kind and intelligent, she approaches her interests with a youthful enthusiasm. Helpful to a fault, traveling tends to take her longer than usual due to her habit of assisting those she meets along the way. Conversely, this has resulted in her gaining a wealth of knowledge on a wide variety of subjects. Despite her kind nature, she is not afraid to shed blood, and has found that the most permanent solutions to problematic enemies is incinerating them. Bio: The daughter of a prominent knight in a far off land, Winter lived a relatively peaceful childhood. Seeing that she had an affinity for magic, her parents enrolled her in the town's school for magic. Quickly surpassing anything the mages there could teach her, she decided to travel the open road in the hopes that she would come across more esoteric knowledge. Fortunately for her she met a student of the College of Arcane Energies before she could get into anything too dangerous. The next few years flew by as she studied ancient magics and honed her skill in enchanting. During her stay however, war broke out with the neighboring kingdom, and though the College itself was neutral, her father and mother were killed in the ensuing conflict. Not letting that deter her, she continued her studies, eventually reaching the rank of master by her 21st birthday. Still not satisfied, she became the one and only protégé of the College's Arch-Mage, Quantum Leap. Since then she has made leaps and bounds in the field of magic theory, and has begun the process of creating a ritual to tear space-time with her master. As part of the process, Quantum has ordered her to travel across the world in order to gather any artifacts that might aid them in her quest, resulting in her arriving in Equestria. Description of Homeland: A land of mountains and valleys, it's said that the winters here are the reason why the warriors of Terra Septentrionis (working name) are amongst the hardiest in the world. The furthest reaches of the North contain nothing but barren ice fields, glaciers, and unspeakable monsters. To the West, deep fjords border an icy sea. The south gives way to grassy plains, the center of all agriculture and the main source of conflict with their southern neighbor. The East is protected by impossibly high mountains, beyond which is a dessert of endless sandstorms. In the heart of the country lies a labyrinth of valleys and small mountains. Unfortunately we can't actually form guilds yet. Legends of Equestria Discussion / Re: How do I update the game? Make sure that all your old game files are deleted from your computer. That includes the unzipped files and the zipped files. This happened to me once where I had downloaded the new version, but I still had the files for the old version on my computer, so it was using those instead. Legends of Equestria Discussion / Re: Vendors Don't Want My Money. I can confirm that Micro Transaction is still there for me, so all you have to do is grow up and her quest will become available. Make sure that you're selecting the "shop" option when interacting with a vendor and not the "talk" option. Also, there is a cosmetic horn, but you can only get it once you're an adult. 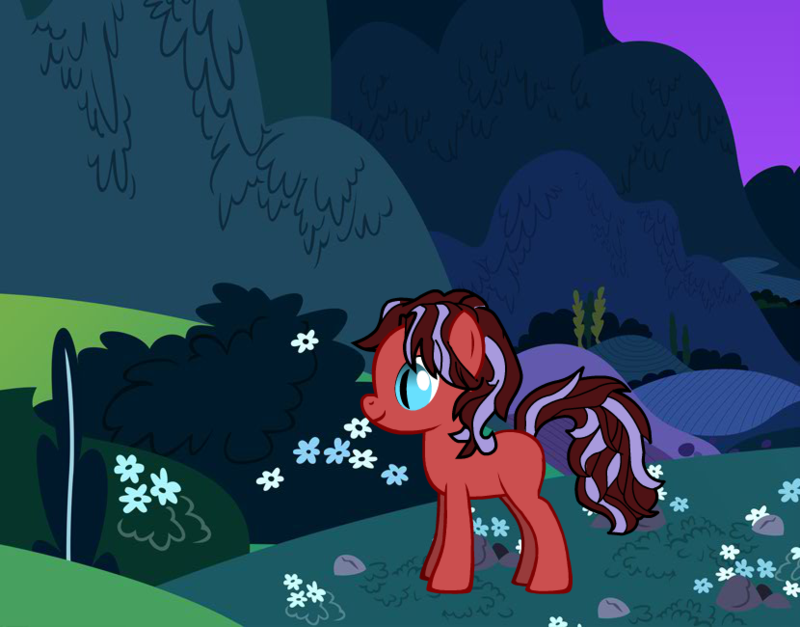 It's the quest reward for Micro Transaction, the filly on the main road near the plaza in Cantermore. Also, welcome to the horse game. I can't do that because even when I have it plugged in, no power is going to the laptop. Regardless, I took it in to get a diagnostics check. That's the thing, even when I have the charger connected, it doesn't charge, so either something is wrong with the charger, or the port itself is the issue. So, funny story, my laptop randomly decided it didn't want to charge anymore, and unless I can get the problem resolved tomorrow, or I get the game running on a different computer, which is a campus computer, I'm not going to be able to play for a few days. 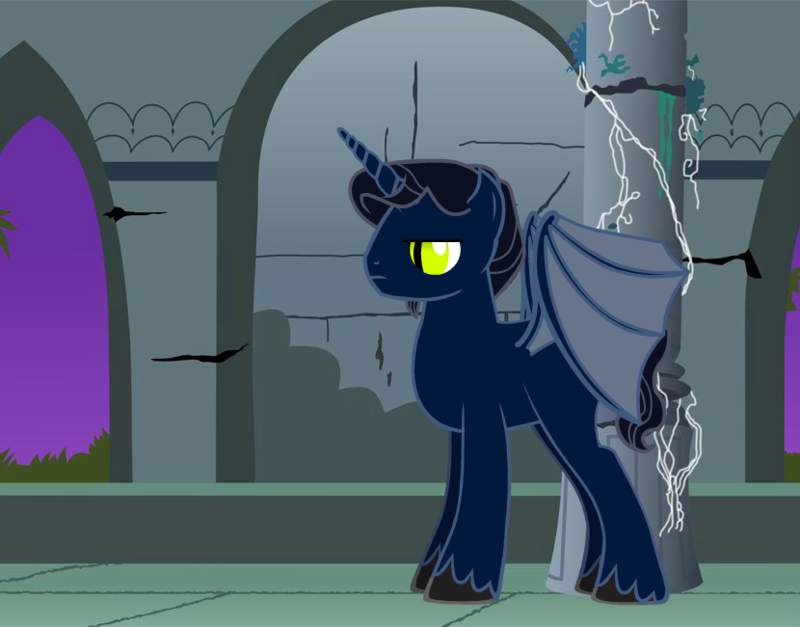 There will be a Halloween event this year, closer to the 31st, but not too sure if they're going to bring the bat pony costume back. I'm hoping they do. As for the servers, they can be a little wonky at times, but it's been better as of late, and they've added a couple new quests. Mostly though, we make our own fun. A brief disclaimer: I'm not a big fan of using images straight from pony creator. I think it's a good tool to help visualize the oc one is trying to make, but it should never be the final product. That being said, I'm a slow drawer and I have this thing about having a visual to go with profiles, so they'll have to do until I get around to actually drawing these ponies' portraits. Now, enough of that, here is an entire night's sudden burst of inspiration. Bio: The eldest of three brothers, Ashen Grove is a proud, learned stallion. He spent a majority of his youth traveling with his brothers, often times getting them into trouble with some questionable decisions. That being said, he does care about their well-being, even if his overbearing personality can be hard to handle. 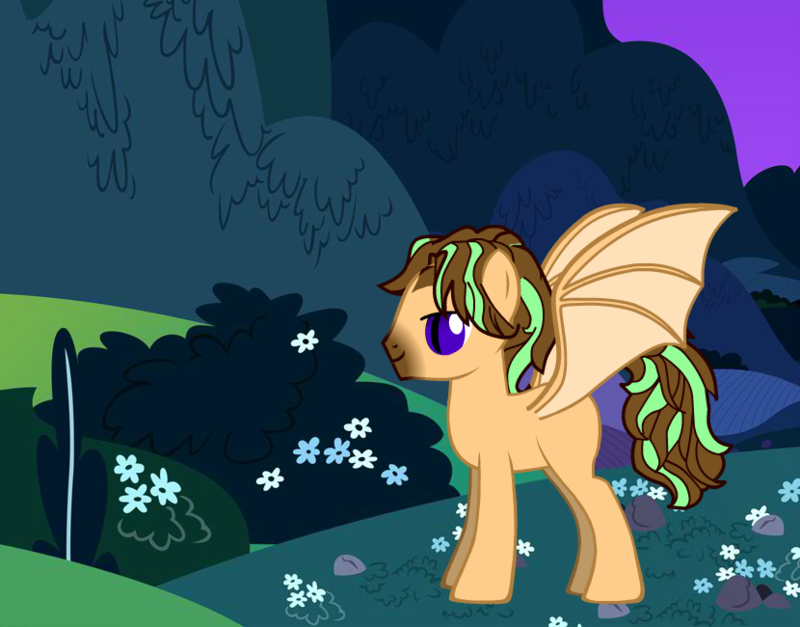 After their travels, he returned to the family home within the Everfree where he was subsequently groomed by his parents as the next head of the family. He then moved to saddle Arabia where he married into one of the most prominent clans. As with other members of his clan, he has a wide range of magical abilities and is fine in direct sunlight. Bio: The middle brother and most unassuming of the trio, Misty Moors is nevertheless as intelligent as his other family members. Often getting dragged into situations by his elder brother, and subsequently rescued by his younger brother, he developed an intense dislike of being near other ponies. While he does enjoy living away from Ashen Grove, he will come to his aid should the need arise. Rather than returning home, he chose to stay where his current home is, even falling in love with and marrying one of the local mares. Unlike Silent Shade however, who refused to turn his beloved into a creature of the night, he turned her into a pure blooded vampire and has since lived happily with her and their children. Bio: A direct descendent of the Founder, she is one of the few vampires in the world capable of creating pure-blooded vampires from her blood alone. Proud, vain, and supremely confident in her skills, Violet thinks nothing more of other species as food or a means to an end. 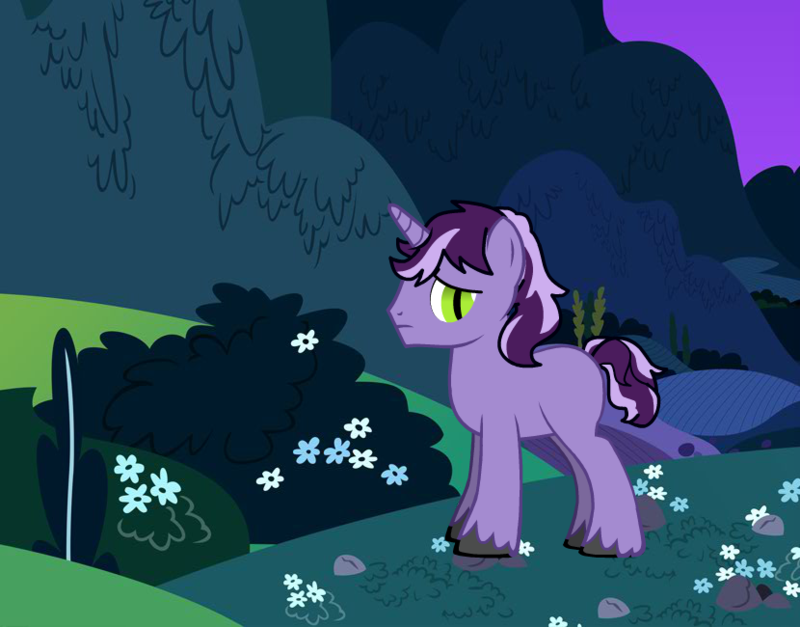 Born well before the founding of Equestria, during the time of the three tribes, she has seen much over her long life and fears little other than creatures as old as herself. Though she married Deadwood for the purity of his blood, she has developed somewhat of a fondness for him over the long years and takes extreme pride in her progeny, even her half-breed granddaughter, who has more than proven she is worthy of being a full-fledged member of the clan. Bio: Proud, stern, and emotionally distant, Deadwood has little time or patience for the carefree attitudes of Equestrian ponies. Spending a majority of his time studying the anatomies of the different magical creatures found throughout the world, he spends little time with his family. When he does, his interactions with them feel like those of a stranger saying hello. A powerful magician, he uses his magic to confuse travelers that wander into his wood. Though he usually lets them free, on occasion he'll capture them for an experiment, promptly draining them of their blood once he's finished. 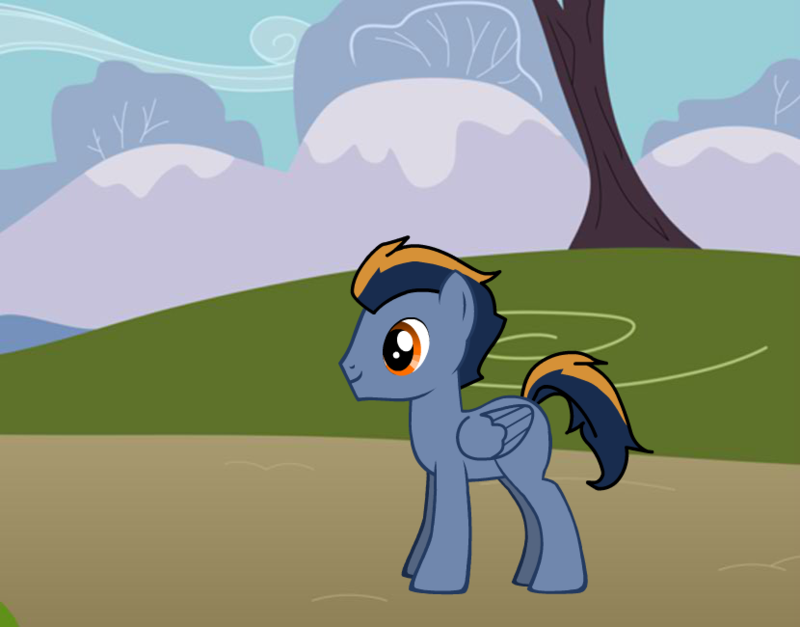 Bio: The twin children of Ashen Grove, Sandy and Dusty have been partners in crime since they were foals. Tired of the pressure put on them by their father and grandmother, they left home at an early age to pursue their real passion. 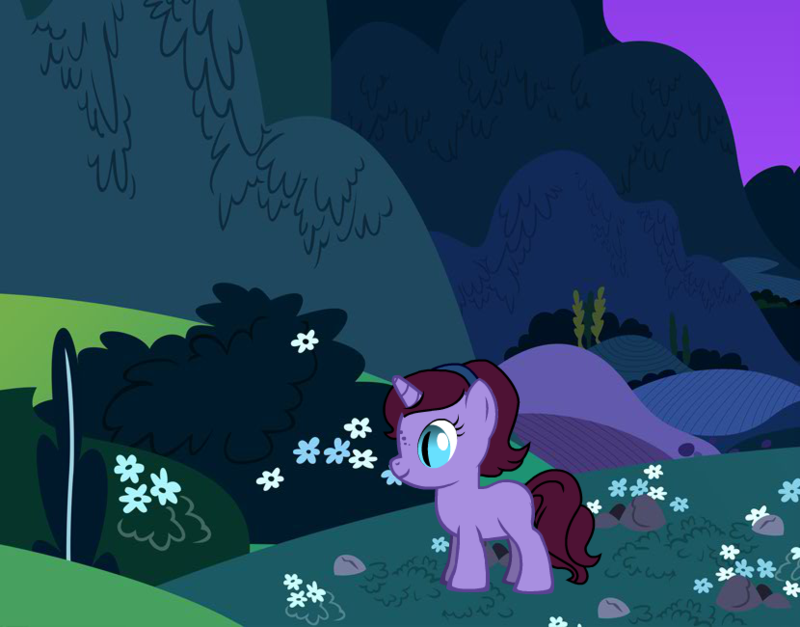 Preferring to travel at night, they use their talents to lure ponies to their campsite. Once lured, the pair will lull the hapless ponies into a trance, making it easy for them to feed. While there is no love lost between them and their grandparents, they enjoy the company of their cousins, who they make a habit of visiting on a regular basis. 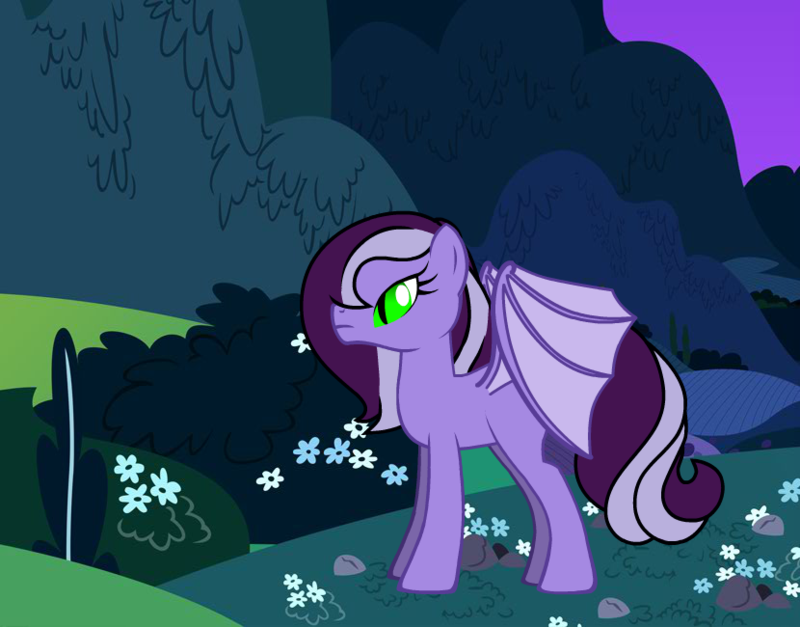 In particular, they enjoy traveling to Equestria to visit their elder cousin Nightstalker if only because the ponies there are easy to prey upon. Bio: Eldest of all the grandchildren, Magenta has a cheerful personality uncharacteristic of her other family members. Taking a trip once with her father, she became fascinated with the wine making process. Convincing the owner of a local winery to teach her the process, she remained behind as an apprentice for several years. Once she mastered the craft, she brought the family she'd stayed with under her control, had them leave everything to her, then sent them to her grandfather, who was more than happy to use them. Established as an unseen member of the community, she and her "descendants" are praised for their generosity and kindness for those that work for them. Of course those that know what she really is are aware that it's all an elaborate façade for a steady supply of food. Bio: Middle child of the middle child, Rusty developed a love of technology when he found his ham radio in the local junkyard. Buying a book on the operation and history of radios, he repaired it and began using it to talk with ponies from across the country. Not satisfied with just that, he continues to build new gadgets and gizmos, and hopes to one day study robotics at the Equestrian University. Despite this however, he maintains a love and appreciation of nature, and will actively thwart new construction projects by causing trees and bushes to grow overnight at various lots. If the workers continue to persist, he drains the blood from a majority of them and disposes of the bodies in giant Venus fly traps he grows along with the trees. He firmly believes that one day he will discover a way to seamlessly blend technology and nature. Bio: Curious, intelligent, and inspired by classics such as Frankenstein, Dusk is terrifying, even by Vampire standards. Often found lurking in graveyards, particularly near fresh graves, she is always on the lookout for new parts that she can salvage for her experiments. Surprisingly adept at medical suturing, ancient embalming techniques, and an expert in pony anatomy, her creations tend not to last more than a few ours, though each successive creature lasts longer than the last. She makes use of her young appearance to get the drop on her chosen prey; if she thinks they are in reasonable enough condition, she'll take the body and use it as part of her current/next experiment. Recently, she's been asking her father to allow her to move in with her elder cousin Nightstalker. Her reason being that the proximity to so many ponies will make it easier for her to gather ingredients without drawing too much attention. Bio: A figure from the ancient past, none remain who knew him, and few remain who know of him. Named the Founder by some clans, it's said that he is the origin of all vampiric bloodlines, though only one lays claim to being a direct descent of his one and only progeny. As much as he is revered by the clans, none of them know what became of him. Whether he still lives in a secluded corner of the world, or whether he was eventually slain by some vampire hunter, none can say for sure. One theory does persist however, that at the height of his power he found a way transform into pure ethereal energy, and merged with the living darkness that creeps throughout the world. 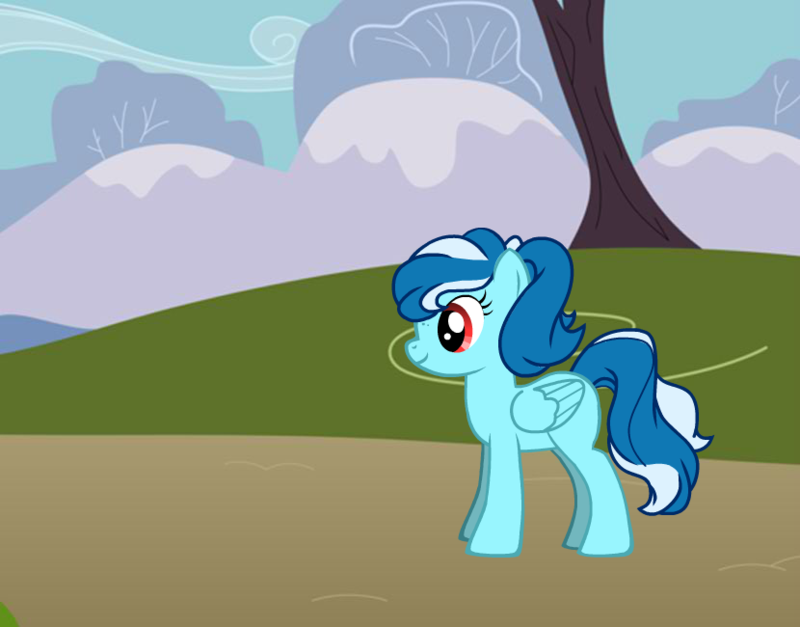 Bio: A kindly mare, she was well liked by her village for her generosity. While she didn't approve of her daughter's lover, she nonetheless loved her granddaughter and looked after her with her husband after their daughter died. She'd soon come to regret this decision as not more than two days later, she was found dead in her candy shop, her granddaughter missing. Bio: An excellent flyer, Waterspout dearly loved his wife, daughter, and granddaughter. He'd always been suspicious of Silent Shade, and when he discovered his wife dead and grandchild missing, he vowed a cold revenge upon the stallion. Learning all he could about vampires, he became one of the deadliest vampire hunters the world had ever seen. The only thing that stopped him was an encounter with his granddaughter several decades after she'd gone missing. Blinded by his joy, it didn't even register that she had hardly changed since that day. She was the last thing he ever saw. 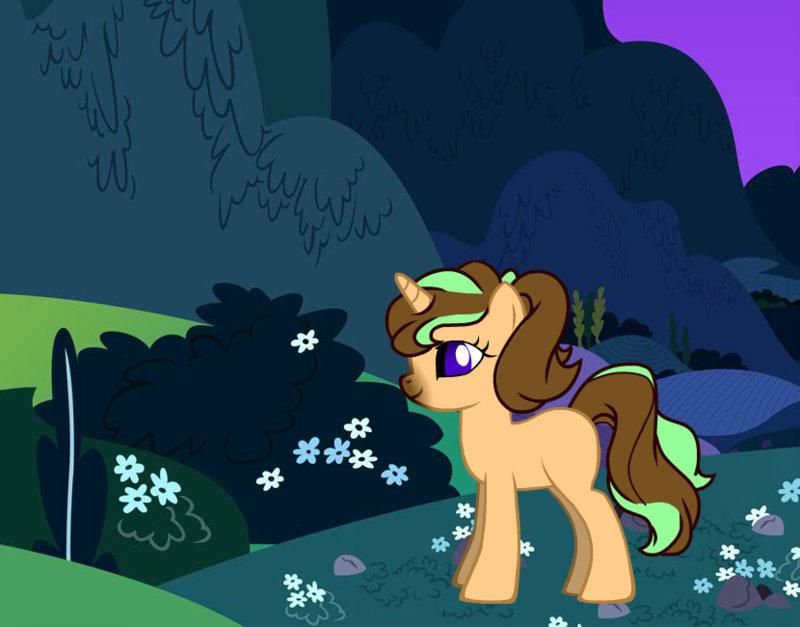 Bio: Somewhat of an odd mare, she spent just as much time brewing poisons as she did curatives. Odder still was when she started dating the mysterious stallion who showed up in town one day. 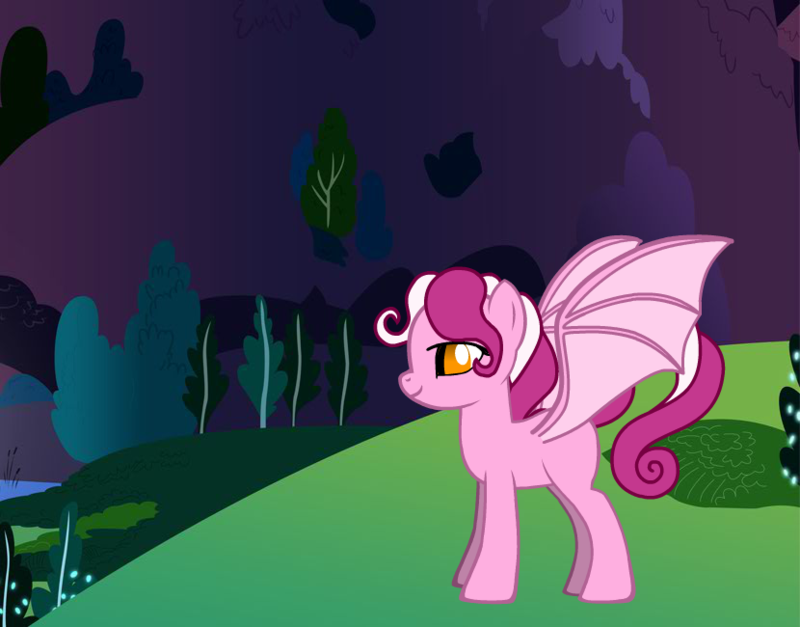 When she had her child, she took great care in allowing very few ponies to interact with her, and spent an inordinate amount of time taking her into the Everfree. When she became sick, she shut herself up in her cottage with her daughter, dying a week later. Bio: Born and raised in the far east, Cherry-blossom charms all with her graceful actions and soft-spoken words. Her kind demeanor however belies a cunning and manipulative personality. Always one to take advantage of a situation, piece of gossip, or emotional weakness, she takes joy in weaving webs and watching the light drain from the eyes of those she ensnares. Despite this, she genuinely cares for her son and husband and is willing to do anything to see them succeed. Bio: Smart yet inexperienced, Night Bloom shares his father's inquisitive nature and his mother's ability to manipulate others, though he isn't as cruel as she is. Due to the fact that he is more mature than other foals, mostly because he is 30 despite his appearance, he finds it difficult to socialize wit them. Instead he spends as much time as possible with his older half-sister, Nightstalker, much to her mild annoyance. Bio: Well read and sharp witted, Silent Shade has spent centuries learning about ponies and other cultures from around the world. The youngest of three brothers, he grew up having to deal with the mess they left behind as a result of their boisterous attitudes. While he doesn't resent them for the multiple headaches they've given him over the years, he does relish the peace of mind he has now that they live seperately. 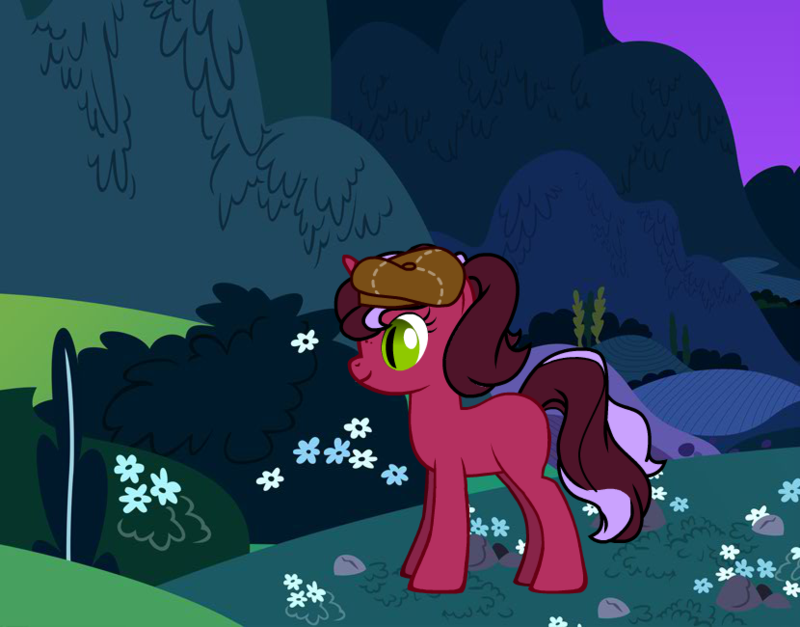 Thanks to his wide knowledge of cultures, gentleman-like manners, and his daughter's blood potions, he is able to seamlessly blend into pony society under the guise as a scholar. Because of his pure vampiric blood, he has a wide range of magical abilities, including: control over Timberwolves, hypnotic suggestion, ability to turn into mist, limited transformations, and the ability to merge with shadows. Contrary to popular belief, sunlight is not deadly to him or his brethren, though they do lose their powers during the day. Pumpkin, you just saved me an afternoon's worth of frustration, Thank you so much! I posted a thing about her some time ago, but considering I've made changes to her character, I felt that it was time I made a new post. Description: Dark navy blue coat; even darker navy blue mane with pale blue streaks; lime green and bright yellow eyes; is tall for a mare, being a little taller than the average stallion. Home: She has a small apartment in Cloudsdale that's modestly decorated with a modern, minimalist style. Bio: Born to a vampire father, Silent Shade, and Pegasus mother, Glacial Stream, near a long forgotten village, she spent the early years of her life learning alchemy from her mother. After her death, she moved in with her father who spent the next decades teaching her about his kind, even going so far as to travel the world with her visiting the various clans and bloodlines. 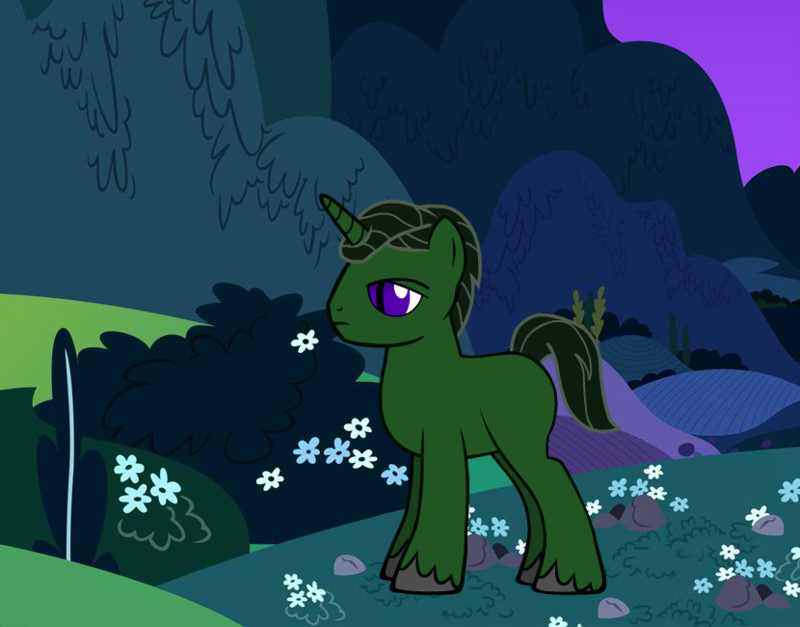 A calm, collected, and perceptive mare, Nightstalker prefers to spend her time away from highly populated areas such as Canterlot. While she is able to subsist on normal food, she does have a taste for meat, something she satisfies privately. Thanks to her vampiric heritage, her senses and physical strength are augmented, making her well equipped to deal with the threats in the Heartlands. While she does not have the wide range of abilities her father has, she is able to use mirrored surfaces to travel between locations. History: Before moving to Cloudsdale, she lived in the Everfree gathering and growing alchemical ingredients. As she honed her craft, she discovered a recipie that satisfied the hunger needs for vampires, though it didn't give them the power boost that blood did. With this new source of nourishment, she and her father were able to leave the forest and live amongst other ponies. Now living in society, both she and her father sought jobs. Whilst he became a curator of antiquities for a local museum, she sought to put her enhanced senses and strength to use by joining the royal guard. 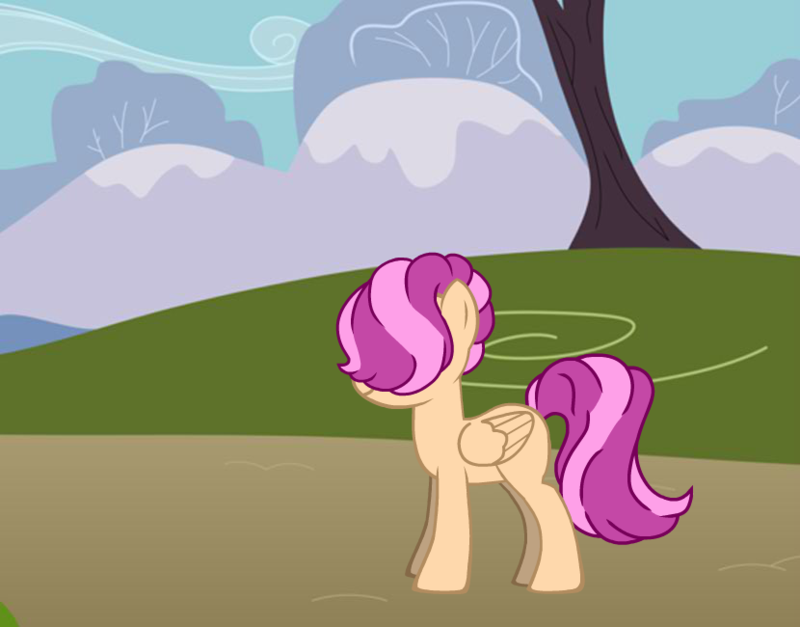 She volunteered for a post in the Heartlands, a position which most new recruits stayed away from, and has been dutifully patrolling the country roads ever since, making travel safe for all ponies and helping those that become lost. That's an adorable drawing of you and Holiday. I might be a little late to suggest this, but there are Ponyfinder books. if you're looking for ways to assign attributes to races, create items, monsters, and quests, those books work very similarly to D&D. Are people limited to one photo per submission? Legends of Equestria Discussion / Re: Is LoE still worth playing? Even if there isn't as much added to the game as you would like, people in the community still do their best to make it worthwhile. There are weekly role playing events, a scary story rp hosted by Pumpkin Glow, not to mention the photo shoot events hosted by Even Tide, or the multitude of events hosted by Holiday Cheer, like the Grand Galloping Gala. All I'm saying is that you should stay for the community.